The city of Rome has long been nicknamed the eternal city because of its association with the Roman Catholic Church and the belief among ancient Roman pagans that the city would last forever - provided the fire in the temple to Vesta did not go out. In the east, there is another city which could be called an eternal city, not necessarily because of its religious associations, but because it was inhabited and influential for so long. That city is ancient Merv in modern-day Turkmenistan. Merv is no longer inhabited, though the descendants of the original inhabitants are still alive. Merv is not the oldest permanent human settlement either, but it is one of the oldest. This city remained culturally and politically important for some 2,000 years. Additionally, it was inhabited for at least a thousand years before that - giving it a history as long as the Western civilization. 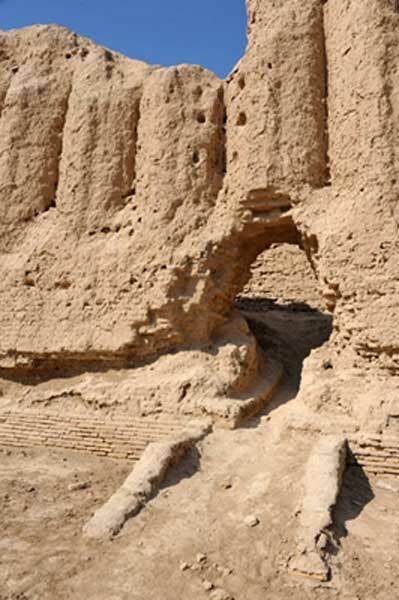 The city of Merv probably began as a small village associated with the Bactria-Margiana archaeological complex, a Neolithic and Chalcolithic culture which first appeared in west central Asia around 6,000 BC. In the beginning, it was primarily composed of farmers who also raised sheep and goats as pastoralists. Towards the end of the Neolithic, proto-urban settlements had begun to appear - a few of which became full-fledged state level societies in later periods, such as the ancient city of Gonur. 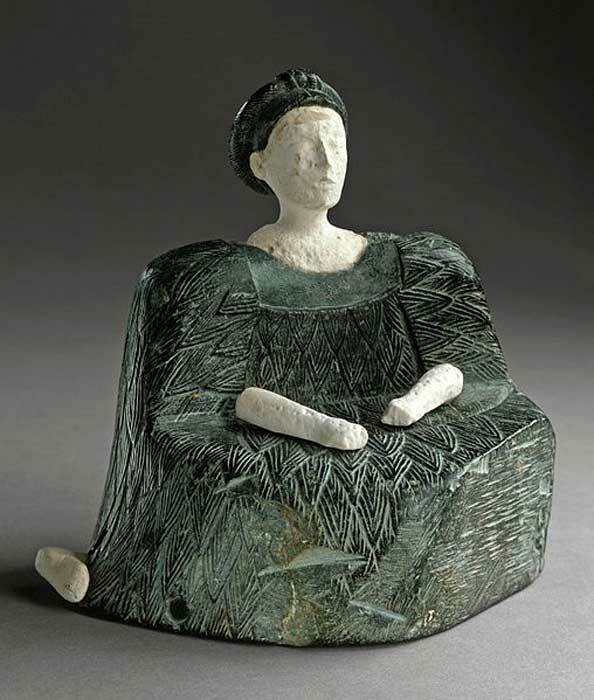 It is debated among archaeologists whether the Bactria-Margiana culture was Indo-European or associated with the Neolithic culture of the ancient Near East. The emerging view among many scholars is that Indo-European nomads from the steppes mingled with proto-urban central Asian farmers and then adopted and spread their culture. The earliest historical mention of Merv is in Zoroastrian texts, where it is referred to as Mouru. During the 6th century BC, Merv came under the control of the Achaemenid Persian dynasty. This was the first of many Persian dynasties which would rule the city. During this time, it appears to have been a city of some significance and it was associated with Margu. The city continued to be ruled by the Persians until it was conquered in the late 4th century BC by the armies of Alexander the Great. After the city was captured by the Macedonians, it was named (or renamed) Alexandria - as were many cities across the region that was conquered by the famous general. Alexander the Great died in 323 BC and the rule of the city went to the Seleucids, one of the Hellenistic successor dynasties to Alexander the Great, or the Diadochi. Under the Seleucids, the city was renamed as Antiochia Margiana by the Hellenistic king Antiochus I Soter (281-261 BC). Over the next couple of centuries, the city passed from the Seleucids to the Hellenistic Bactrian rulers, then the Parthians, and finally the Sassanians - who occupied the city in the 3rd century AD. This was when the city became very important as a center of Buddhist learning due to its numerous monastery temples. Buddhism was only the first religion for which Merv would be an important city and center of scholarship. The Sassanid Persian dynasty took the city during the reign of Ardashir I (220-240 AD). It remained an important urban center as well as a place of religious diversity with Zoroastrians, Manichaeans, Christians, and Buddhists living together in peace. It already had a reputation as one of the most important cities of the east, but its golden days were still ahead of it. 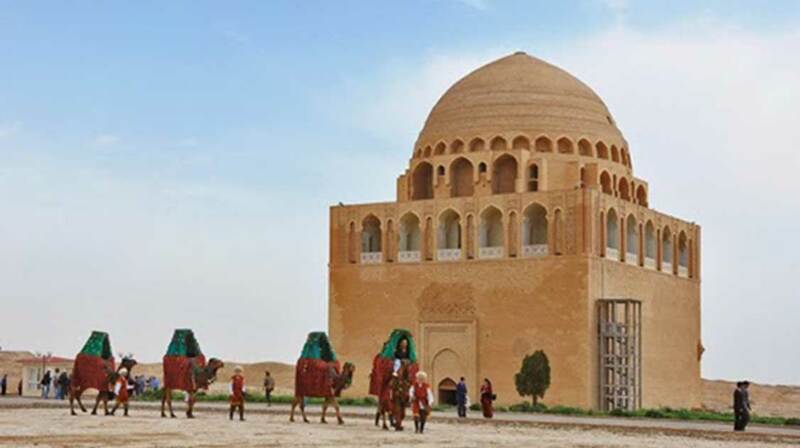 After four centuries of Sassanian rule, the city came under Muslim rule when Caliph Umar (634-644 AD) occupied the city and made it an important urban center in the province of Khorasan. The Muslim political empire used Merv as a base of operations to gain control of much of west Central Asia and to begin their infiltration of India. In 748 AD, the Iranian general Abu Muslim used Merv as his base of operations to revolt against the Umayyad caliphate and establish the Abbasid dynasty (which was officially founded in 750 AD in the city of Baghdad.) Under the Abbasids, and later the Turks, the city of Merv reached its peak. The historian Tertius Chandler claimed that Merv was the most populous city in the world at one point in the 12th century under the Sejiuk Turks. The city continued to be a center of learning under Abbasid and Turkish rule. Being an Islamic city, it now contained a madrasa as well as a large library with material related to Islamic thought. The religious school in Merv focused on literature, the Hadith, and Islamic law. The city also was home to several famous historians. Most things must come to an end, and for the city of Merv this began when it was devastated by the Mongols in 1221 AD. The Mongols destroyed the city and killed most of the population. As many as a million people are said to have died during the battle and its aftermath as people were dispersed. The city of Merv survived, though with reduced importance. For the remaining centuries of its habitation, Merv was little more than a provincial town. It changed hands between several Mongol khanates and the Uzbeks. The city retained some importance to the Church of the East as an important administrative center for the spread of Christianity in the region, but it was still a shadow of its former self. The ancient metropolis turned desert town met its final demise in 1785, when the Persian Shah Murad captured it and shortly afterwards razed it to the ground and deported its inhabitants. This spelled the end of the 3,000-year history of Merv. Nonetheless, the descendants of the original deportees survived, now living mainly in Samarkand and Bukhara. Most of them are Turkish speaking Shias. Their Shi’ite religious tradition made it difficult to assimilate into the places where they were deported, which were primarily Sunni, but it also allowed their culture to remain distinct. They held on to their Shi’ite faith and as a result preserved the culture of an ancient, and otherwise vanished, city. The physical city is an uninhabited ruin. Nothing is there but rocks, sands, a few plants, and wild animals. The city could still be considered eternal, however, because of its legacy. When one looks to the many scholars and historians who came from the city and read their works, or see that people from Merv still live and remember their heritage, it is clear that in a way the city of Merv, like Rome, never fell. Mallory, James P., and Douglas Q. Adams, eds. Encyclopedia of Indo-European Culture . Taylor & Francis, 1997. Cohen, Getzel M. The Hellenistic settlements in the East from Armenia and Mesopotamia to Bactria and India . Vol. 54. Univ of California Press, 2013. Harris, D. R., Ch Gosden, and M. P. Charles. "Jeitun: Recent excavations at an early Neolithic site in southern Turkmenistan." Proceedings of the Prehistoric Society . Vol. 62. Cambridge University Press, 1996. Chandler, Tertius. "Four thousand years of urban growth: an historical census." (1987).